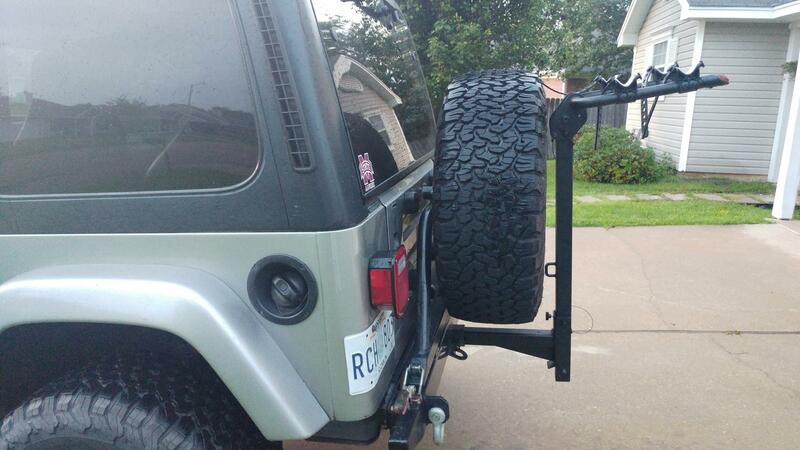 Anyone who has used bike racks behind their Jeep knows that sometimes they cause more problems than their worth. 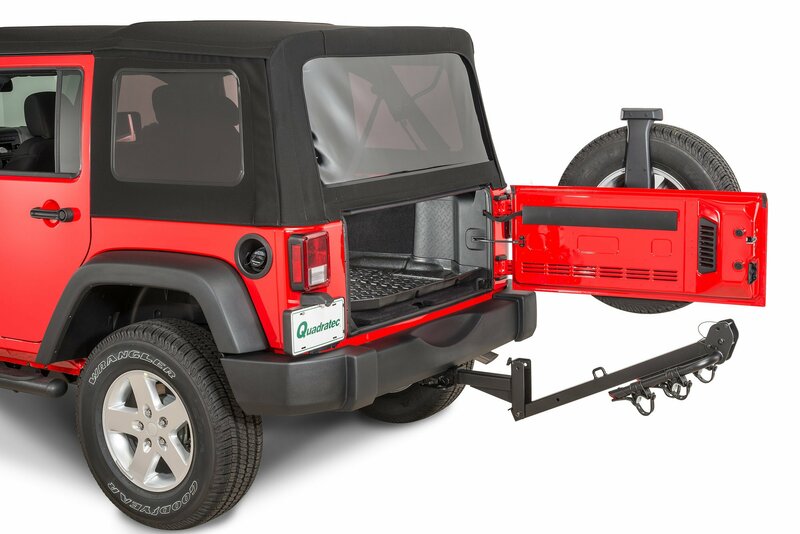 Especially if you have things inside your cargo area that you quickly need. 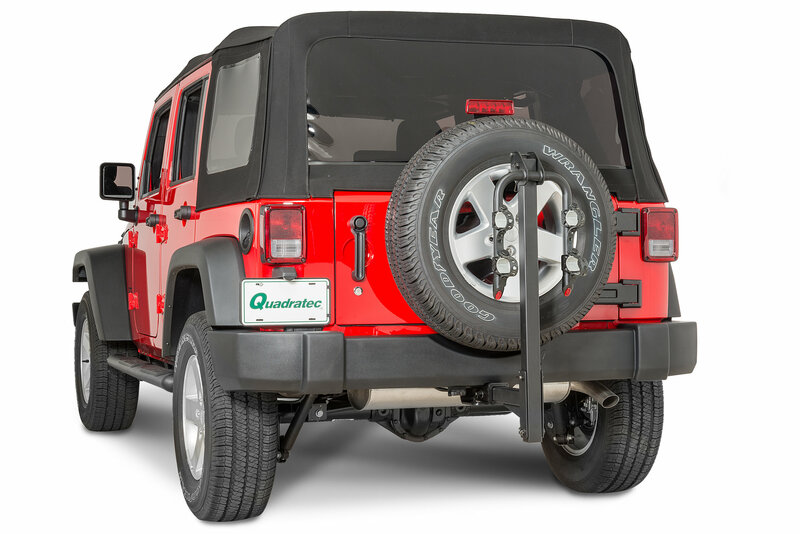 Well, Quadratec's carefully designed 2-bike Folding Rack for 2" Receiver hitches provides that easy access you need to the rest of your vehicle while allowing you the convenience of safely transporting two bicycles. 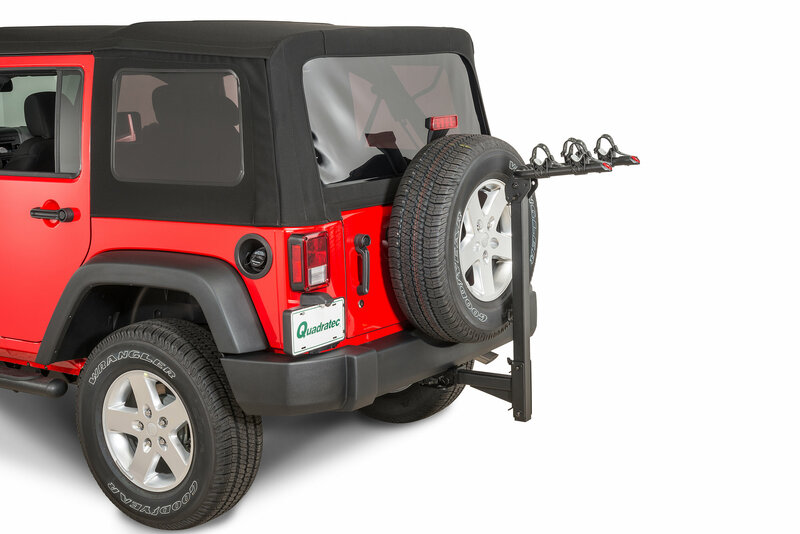 This high quality rack is constructed of welded steel and finished with a corrosive-resistant black powder coat, while featuring a smartly designed tilt-back system that permits the use of the tailgate and liftgate without removing the rack. It also offers easy access to the spare. 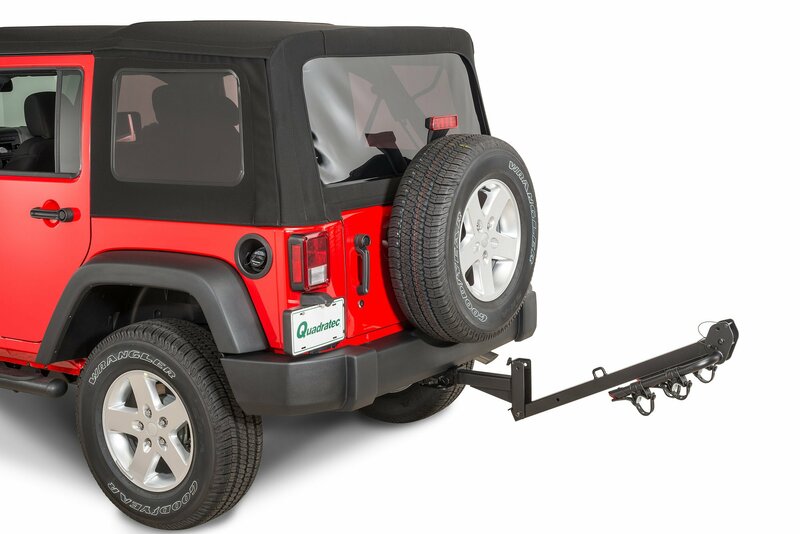 You won’t have to worry about excess movement while on the road either, as the specially engineered hitch pin bolt keeps the rack secure and noise free. Your bikes will rest securely in the rubber cradle, and they’re secured with adjustable rubber straps as well as an additional nylon cinch strap. Plus, you are able to carry a combined weight of 70 lbs. 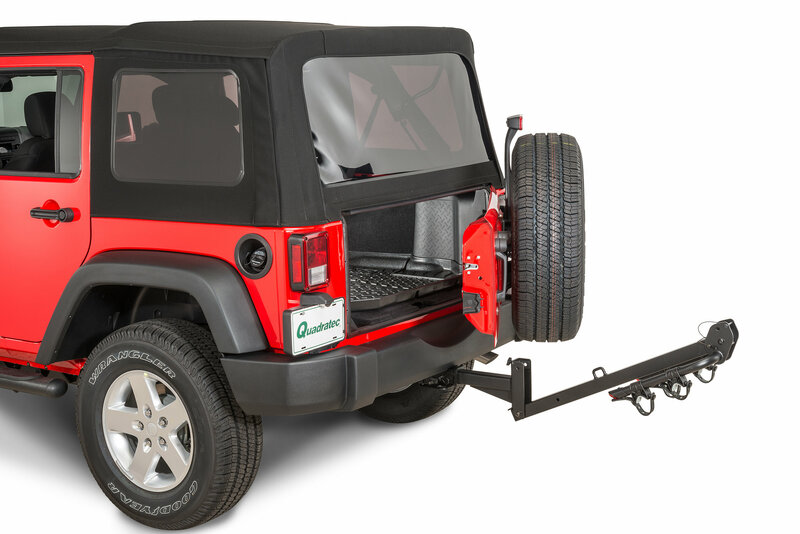 all without fear of scratching your cargo's finish. Includes three-year warranty. Easy Accessibility: Quadratec's Folding Receiver Hitch 2 Bike Rack does not require a hitch extension and its handy tilt back feature allows quick access to your cargo area without removing the rack. 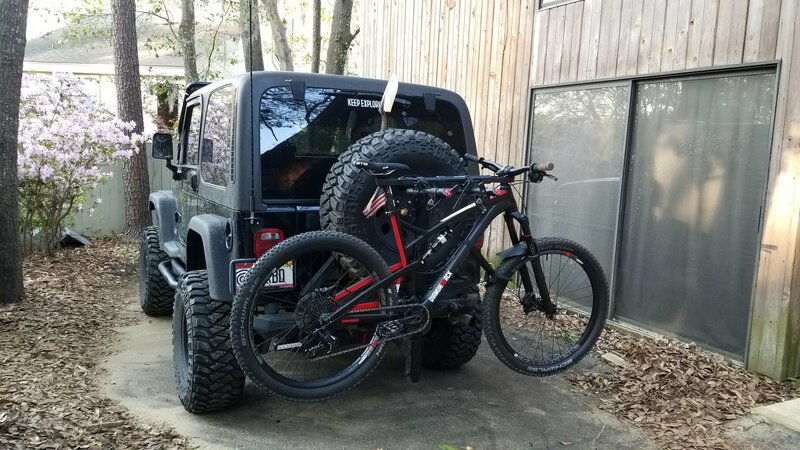 Built to Last: This bike rack is constructed of welded steel and includes a stunning black powder coat finish to resist corrosion. 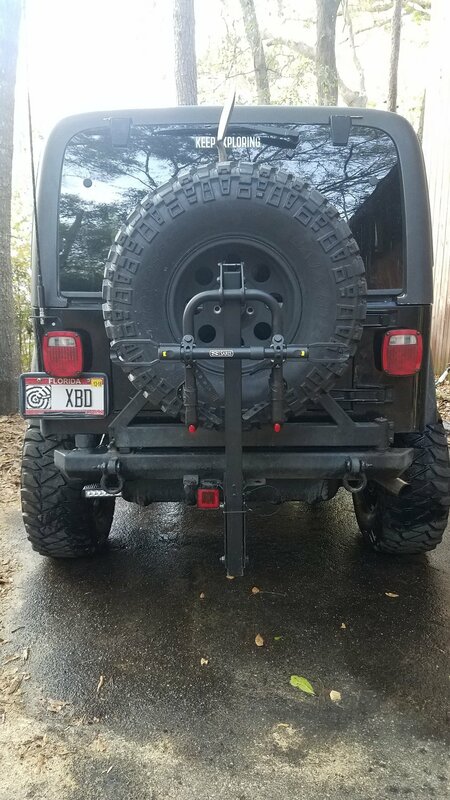 Also engineered with an anti-wobble hitch pin bolt to prevent movement of the rack inside the receiver, while dual arms provide extra stability. Plus, rubberized cradles and hold down straps secure cargo to prevent surface marring. Warranty Protection: Includes three-year limited warranty against manufacturing defects. 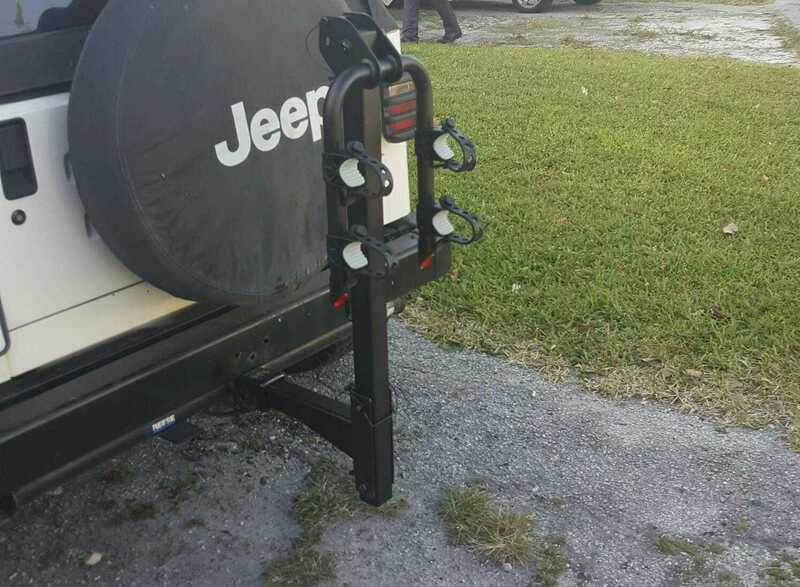 Very nice bike rack; feels rock solid and easy to install. Have only used it a couple of times, but held my bike very tightly- didn't have any fears of it falling off. The pin removal/ fold down procedure is easy and smooth. A bit heavy, but if not removing it too often should be fine. Highly recommended. I’m happy to have found Quadratec. 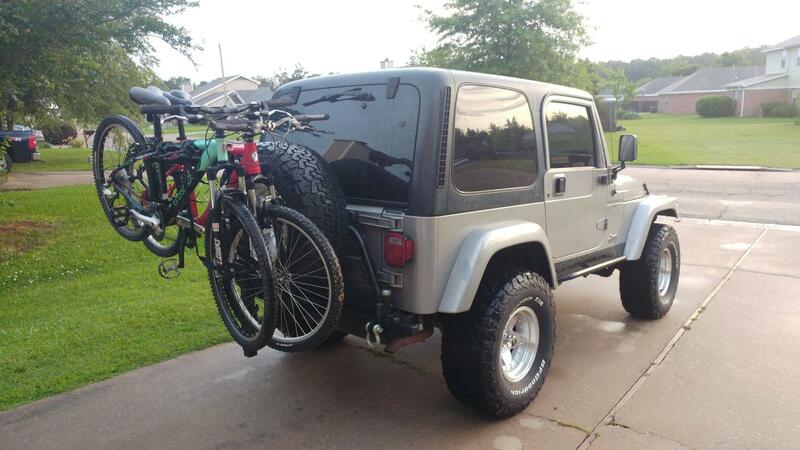 I needed a 2-bike rack to attach to the receiver hitch & accommodate the tailgate & spare tire for my Jeep Wrangler. My first time order was processed, shipped and received quickly. The shipment was complete, including needed tools (didn’t expect that). 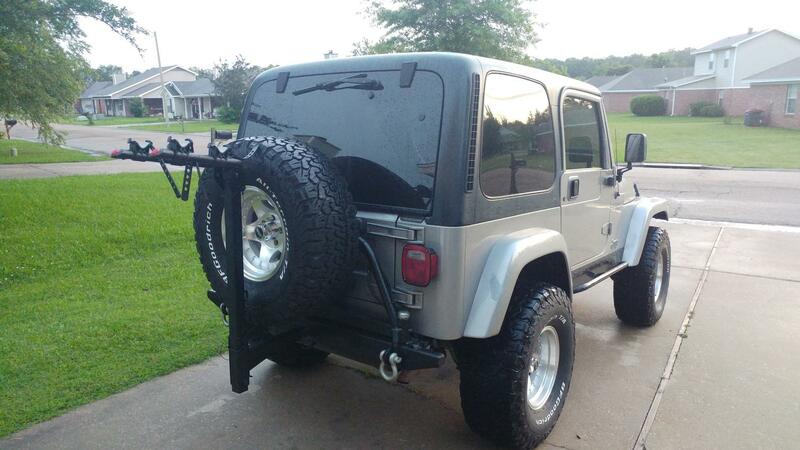 The rack is of exceptional quality, and was assembled quick and easy. I’m entirely satisfied with my total experience with Quadratec, so much so that I’ve already placed another order. Love this better than the pricey Saris I previously purchased. 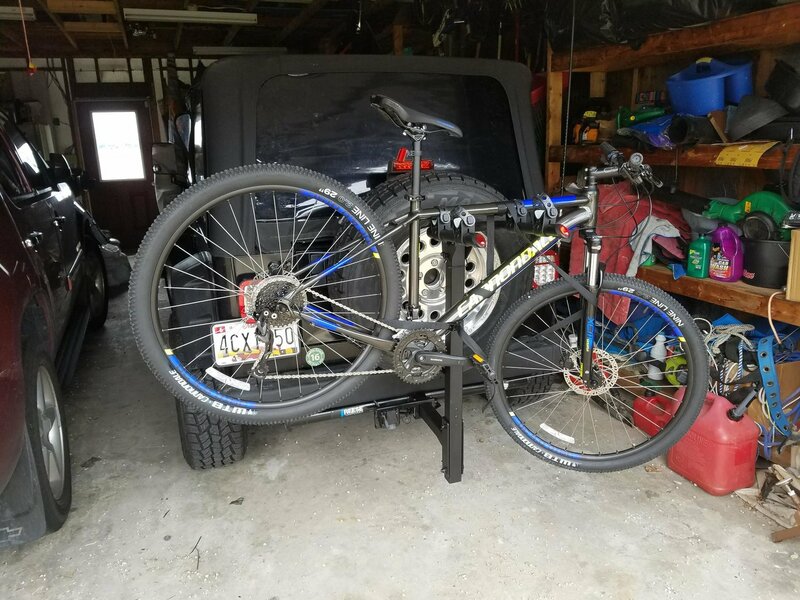 How do you fasten a bike to the rack that doesn't have a bar going across for the cradles - like the blue bike in the photos? Hi, what is the weight of the rack? 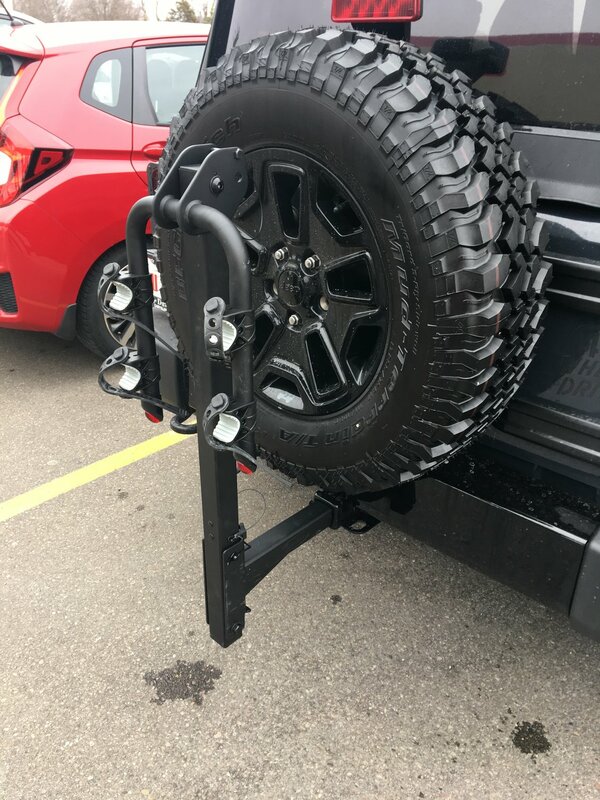 Hitch pin locks are sold separately. The cable lock is not re-settable.